Many homeowners take for granted all that their windows do, until they stop doing it well. If your windows are to the point that all they really do is let you see out of them, it might be time for new windows. 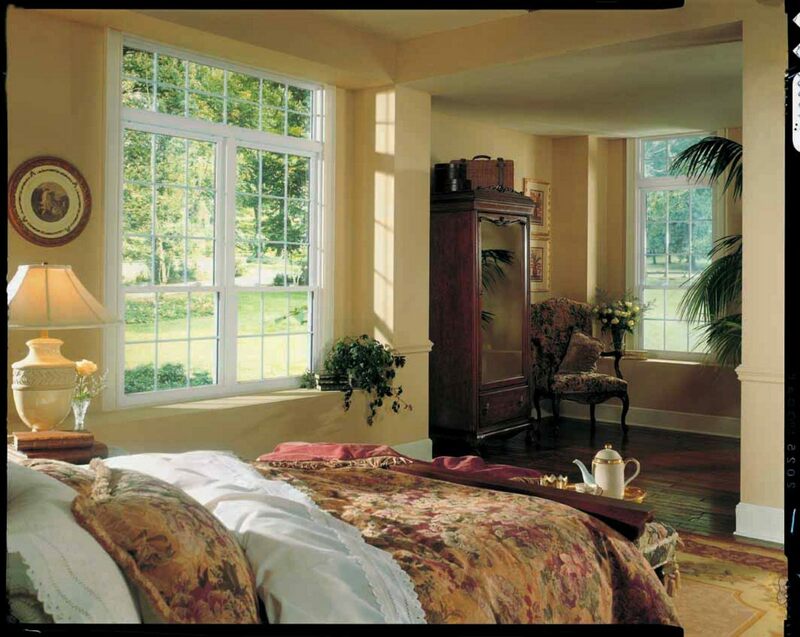 Today’s windows are much more than just a single piece of glass in a frame and offer many benefits over older windows. Of course, the main purpose of your windows is to allow natural light into your home while keeping the weather and pests out. Most of the windows in your home should open (and stay open) and close to allow fresh air in when you want. If that’s all your windows do (or if they’re no longer doing those basic things), it might be time to consider new windows. Low-E Glass – Have you noticed that the sunlight has faded your carpet, furniture or walls in your home? That’s because your older windows don’t have Low-E glass which provides UV protection against fading. It also reflects heat back to its source so your home stays cooler in the summer and warmer in the winter. Tilt-in Panes for Easy Cleaning – If you wish you could more easily clean your windows, new windows have tilt in panes for easy cleaning from the inside. When you choose double hung windows, both sashes tilt in so you’ll never need to climb a ladder to clean your windows again. Double and Triple Pane for Greater Energy-Efficiency – If you felt the cold air around your windows this past winter, consider windows with double or triple panes. The air or gas fill between the panes adds a layer of insulation not possible with just one pane of glass. Noise Insulation – If you’re tired of hearing the outside noises, you’ll find that new windows make your home much quieter due to the multiple panes of glass and insulated frames. Multiple Safety Features – You can add safety features such as locks to prevent windows from opening more than a few inches so no one can get in even when they’re slightly open or so kids can’t accidentally fall out. Some window manufacturers offer shatterproof glass if break ins are a concern. If you’re ready to enjoy the benefits new windows can bring to your home, call Blair Windows & Doors today. We install many brands and styles of windows that can fit your home and budget. Reach us by filling out our contact form or calling (317) 356-4666.